Over the last few months, I've been happily at work creating a new cozy mystery series called the Dewberry Farm Mysteries (release dates coming soon), set in Buttercup, Texas. It's been an absolute delight to spend my mornings in this new fictional locale. I've really enjoyed building a small town with the flavor of Texas, complete with quirky characters, traditional foods, and history -- not to mention learning about the Czech and German heritage common to so many small towns in Texas. Blossom on a bad morning. As it happens, my main character has acquired a rather mischievous Jersey heifer named Blossom, so in addition to looking up recipes and superstitions (did you know that the Moravians believed that hearing three knocks meant someone was going to die? 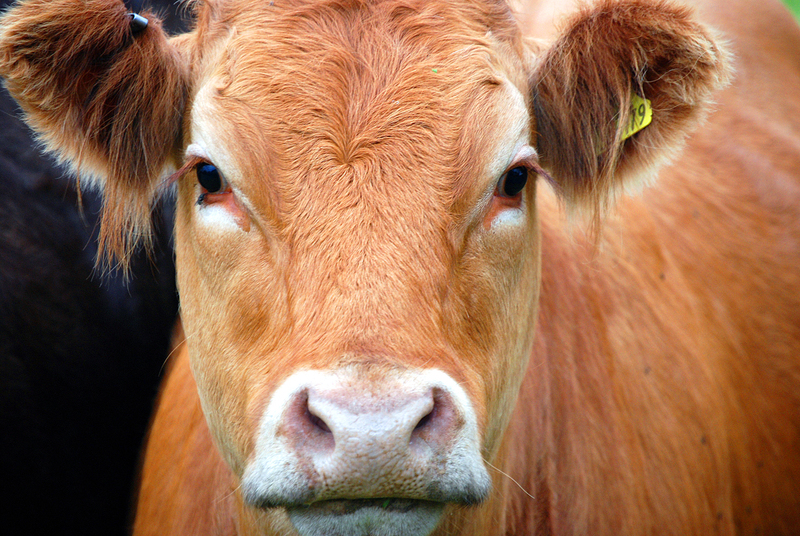 ), I decided I needed to research dairy farming, about which I knew approximately nothing. Since reading up on interesting topics is half the fun of writing, I promptly ordered a book called Any Fool Can Be a Dairy Farmer. When it arrived, I took it with me to a coffee shop, ordered myself a (topically appropriate) latte, and parked myself in a leather chair. Although the book was funny and informative -- dairy farming is evidently rife with the opportunity for humorous calamities -- I had even more fun watching the reactions of my fellow coffee drinkers as they paraded by my chair. I quickly surmised that I don't fit most people's mental image of an aspiring dairy farmer. By the end of the afternoon, I'd lost count of the number of people who snuck surreptitious looks at my book's cover, then my face, and then the cover. It was like they'd gone into their local coffee shop and discovered a duck wearing pajamas. Still, that was nothing compared to the looks I got while reading a book for the first Margie Peterson mystery, Mother's Day Out. It was called Miss Vera's Cross-Dress for Success. I may or may not have mentioned this (and you may or may not have gathered it by now), but I am an eclectic writer. Which makes sense, because I like reading all kinds of stories. So why wouldn't I want to write all kinds of stories? But readers who fall in love with a book generally want to read more of that type of story from that author. (And I am right there with you, incidentally.) The problem is, when putting together a website for readers, how does an author handle her readers' -- and her own -- divergent interests? As I approach the redesign of my website, this question has come up a lot. I cruised around and took a look at some sites to get ideas. Fellow writer Julie Ortolon writes "heartwarming romance," and you can tell that from her site immediately. 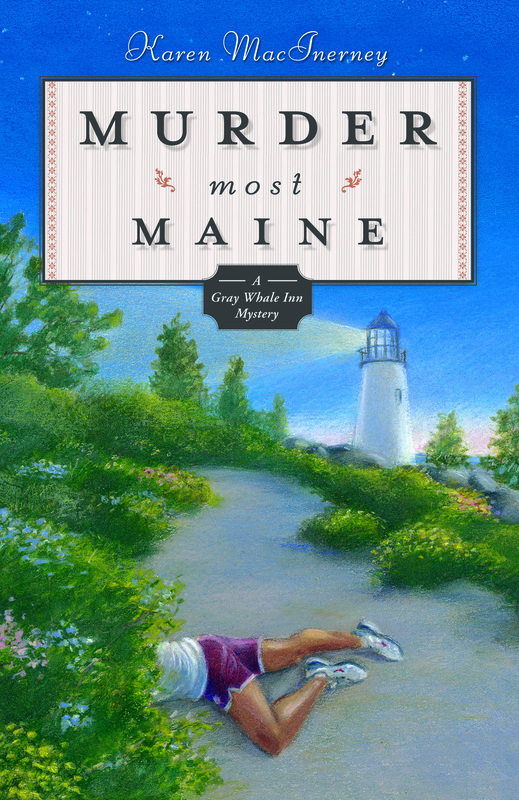 Friend Ellery Adams writes cozy mysteries; again, the look and feel of the site reflects that. But how should an ADHD... er, multifaceted writer like me design a site that covers multiple genres? 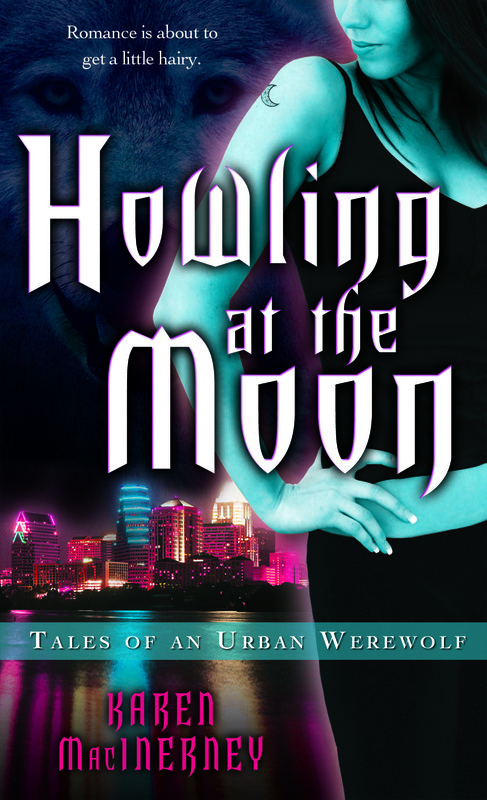 It's hard asking a designer to integrate werewolves and coffee cakes. I'm exploring options right now, but I'm beginning to think that a relatively neutral but attractive base with lots of information and series-specific links for fans of each series may be the way to go. I've committed to blogging again, and like my books, I'm sure my posts will be eclectic. (I'm open to questions!) I'm meeting with a friend who's a marketing guru to ask about all of this tomorrow morning, and I'll be curious to see what he says. But what's more important is my readers. What do you as a reader want out of a website from a multi-genre author? Do you like a clean, simple design, or lots of links to lots of info? Does a neutral but attractive template with links to pages dedicated to each series work for you? Or do you prefer an entire site to reflect the look and feel of your favorite book? Inquiring authors -- okay, an inquiring author, if we're being honest here -- wants to know. I first had clotted cream in Newfoundland, when I was about 12 years old. It was freshly made and served with wild raspberries, and I've never forgotten it. It's creamy, buttery, and delicious either with scones and jam or with a spoon at midnight while standing in front of the fridge. Now that summer 'vacation' is here, I've received a lot of e-mails recently asking how I manage to juggle writing and kids. It's a good question, and the answer has evolved over the years. When I wrote Murder on the Rocks, I had two children under the age of 5, both at home. There was no way I was going to get anything done with both of them and me in the house, so I hired someone to come three afternoons a week to give me a couple of hours off. (A luxury, I know. Enforced nap time might be another option.) The first thing I did when I went off the parenting clock was to go to Starbucks and fill twenty pages of my notebook with words. I didn't stop for lunch. Didn't call a friend. I went to my chair and wrote. When I was done, my reward was to go to the bookstore and browse (and fantasize about my books someday being on the shelf alongside Susan Wittig Albert's). I then input the handwritten work at home, when interruptions weren't such a big deal. I wrote Murder on the Rocks in 5 months using this system, and although I now count words on the computer instead of pages in a composition book, I still think it's an excellent approach. I have psyched myself out numerous times over the years -- just ask my husband, my agent, or anyone who's happened to ask me "How are you?" on a bad day. Each time, the way back to sanity -- and a regular writing schedule -- has been to go back to the mantra. One thousand words a day, five days a week. If they're awful, you can trash them tomorrow. If you need a day to figure things out (or sometimes a few more -- it happens), fine. But get back up in that saddle fast, or you'll start to lose confidence. I also used to think that to be a good mother, I had to drop everything for my children all the time. It took me a few years to figure it out, but I've come to the conclusion that that is a perfect recipe for entitled children who are unable to handle entertaining themselves and/or getting a glass of water. On a more philosophical note, I've also realized that I don't want my children to think being a parent means sacrificing all of their own dreams. The best way to teach them this, I think, is to model it myself. And when momma's happy, everyone's happy. Or at least has a better chance of it. MOTHER'S DAY OUT has hit the virtual shelves!